I’m a bit snobby when it comes to my skin care products. For one, I refuse to buy anything tested on animals. Secondly, if a product contains “fragrance” or parabens or ingredients known to be carcinogenic, endocrine disruptive or harmful to the environment, I won’t be using it. It gives me peace of mind to know what I am putting on my body is not going to make me ill. The downside to my snobbery is that “natural” products don’t always perform as well as I want them to. So when I heard about Sola Skincare and how their products contained none of the junk I was avoiding, I was cautiously optimistic. 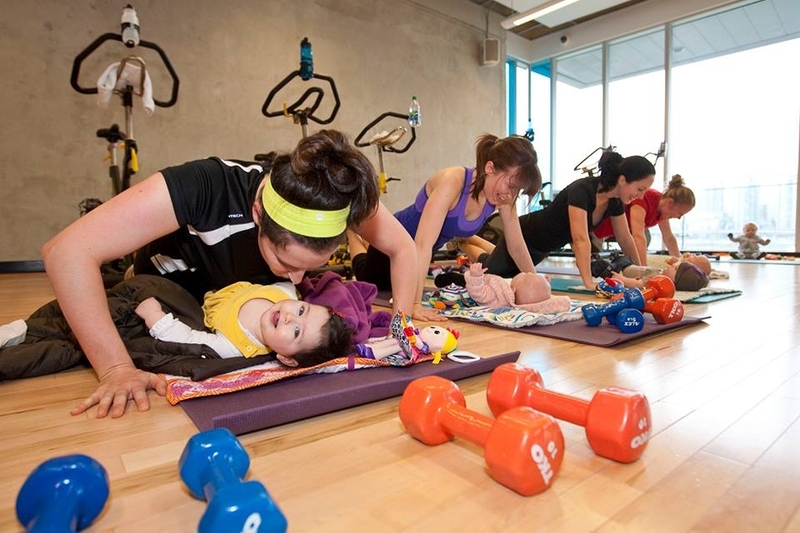 I am a Fit 4 Two Pre and Postnatal Fitness trainer. I teach bootcamp style classes, indoor cycling, stroller fitness and aquafit among other things. Four to five days of the week I am working out and working up a sweat. 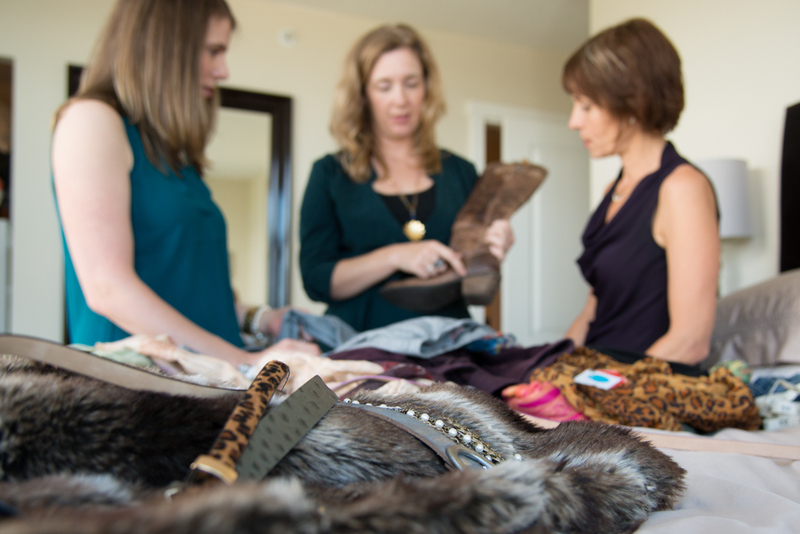 As a personal stylist and personal shopper, I am in close contact with clients in their homes as well as dashing from store to store selecting items for them to try. On top of that, I have been doing more public speaking engagements, which is quite out of my comfort zone. I tried almost every kind of natural and chemical deodorant out there, but results ranged from doubting if I remembered to put it on to having to reapplying several times throughout the day to not being able to stand the artificial fragrance. (What exactly is Teen Spirit supposed to smell like anyway?) Nothing seemed to work. I am forever grateful I was introduced to Sola. By nature, I am a pretty sweaty person. I have trouble regulating my temperature. Get me in the spotlight or on the spin bike and I become an even hotter mess. For most of my life, I thought, ‘the harsher, the better’ in terms of chemical solutions. It wasn’t until I was pregnant with my son that I started wondering how it would be for my baby to breathe in strong chemicals while nursing. I also started thinking about my own health and what I was putting on my body, specifically so close to my breasts and lymph nodes. A fellow fitness pro introduced me to Sola. She said Sola Coconut Deodorant was so effective, she could even skip a day. I figured if an active normal person like her could skip a day, then maybe an active uber-perspiration machine like me could last one day. I decided to give it a go. Am I ever happy I did. A pea-sized amount under each arm is all it takes and what has made all the difference. Even after back-to-back boot camp and spin class or an epic day at the mall, Sola is my hero. I still perspire. There’s not a lot I can do about that, but at least I no longer worry about any offensive scents coming from me and that has been life-changing. 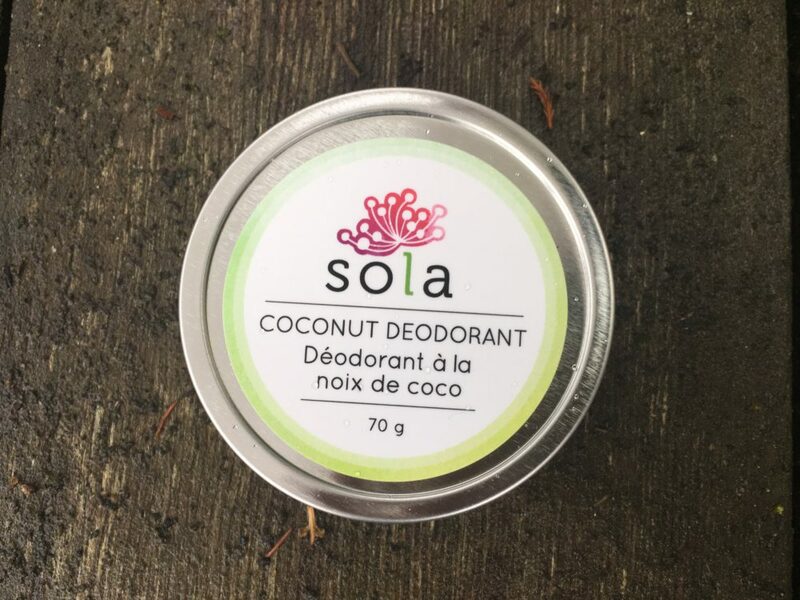 Sola Coconut Deodorant is safe for pregnant and nursing mamas. 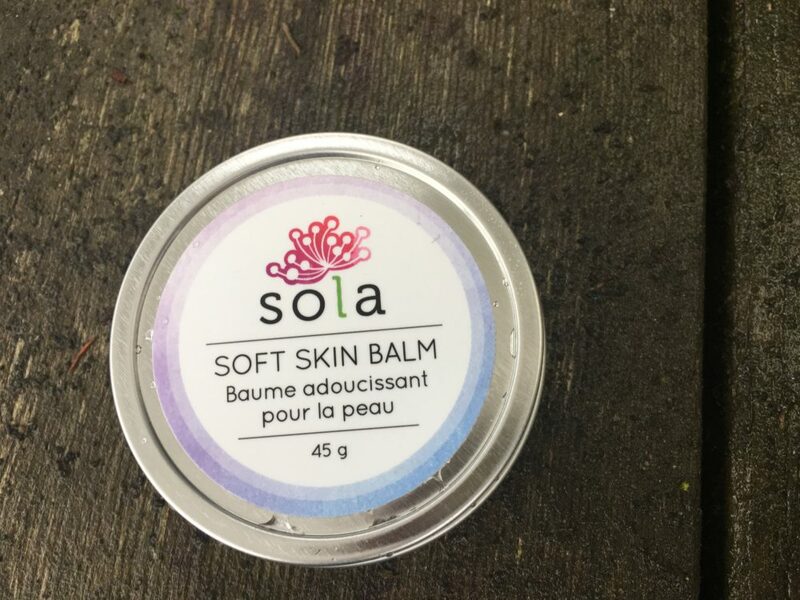 I had bought Sola Soft Skin Balm for my sweetheart as a Christmas stocking stuffer, but quickly confiscated it for myself. To be honest, I wasn’t sure I liked it at first. It wasn’t the creamy consistency I was accustomed to. It is more like a salve. It’s thick because of the organic shea butter and beeswax. I wanted to give it a chance, though, because I am such a fan of the Sola deodorant. At first, I had to really work it into every little crevice on my hands, but the balm became easier to spread as my skin warmed it up. It took time to coat both hands, so I figured it wasn’t going to be one of those lotions I can quickly slather on as I run out the door. Instead, I decided to make the Sola Soft Skin Balm part of my twice-weekly nighttime self-care routine. I work it into my hands and heels, and slip on a pair of organic cotton gloves and socks to allow the balm to really absorb into my skin. It works its magic overnight. I am enjoying the results. My formerly ragged cuticles are unrecognizable and the roughest parts of my hands and heels feel much smoother, softer and nicer to touch. 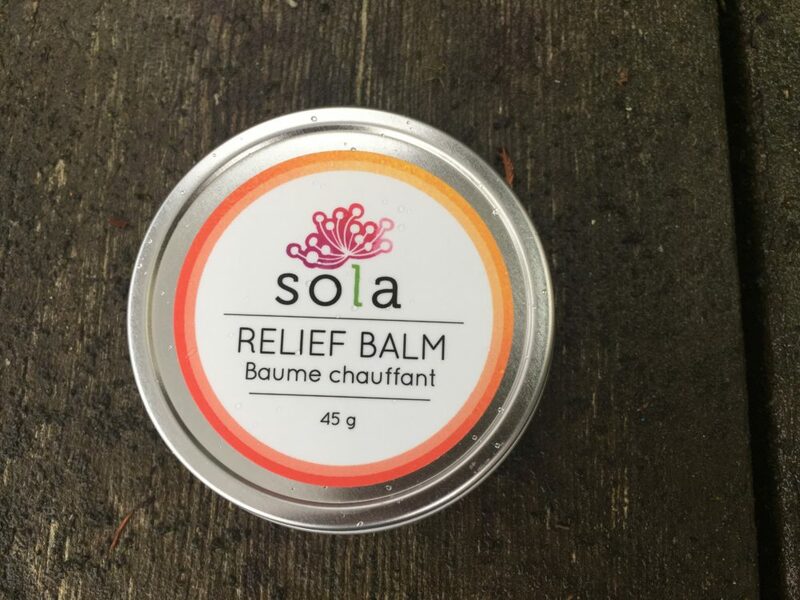 Sola Soft Skin Balm is safe for pregnant and nursing mamas. You’d think that working out frequently would make my muscles sore and stiff. More often though, my back and shoulders scream from lugging a heavy purse around. I have to admit, I was addicted to Tiger Balm. Like a bad romance, I had a love/hate relationship with that smelly jelly. It made my eyes sting and my skin burn. The trade-off was that it helped my muscles relax and I was willing to turn a blind (and watery) eye until I found a natural alternative. I was pleasantly surprised to find Sola Muscle Relief did not take my breath away or make me cry. I found it definitely has a distinct odor of medicinal chinese herbs, but it quickly disappears after applying. It has a comforting and warming sensation, without feeling like I might lose a layer of dermis. For this reason, the tiny tin now lives on my bedside table. Sola Skincare is a BC family owned business. They make all their products in small batches free of parabens, phthalates, synthetic ingredients, preservatives or fillers. You can get tester sizes or full size products. Check out the Sola website to find a retailer close to you, or else you can place an order online. 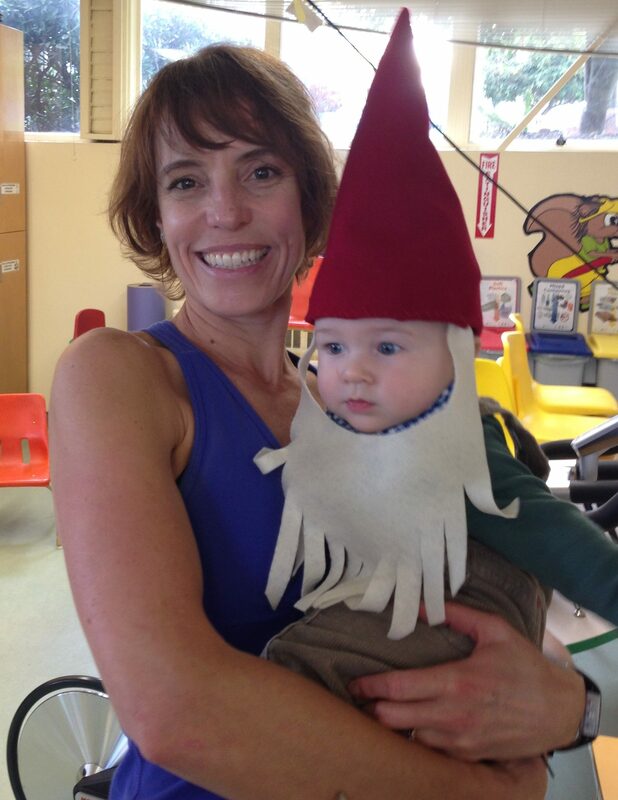 Me and the little garden gnome that came to spin class one day. Although Sola Skincare sponsored this post, I am a genuine fan and all opinions are my own.